To set up your eRefund account, click the link below to access TouchNet and follow the steps shown. Once in your account, click on eRefunds at the top of the screen. On eRefunds screen, click Set up Account.
. 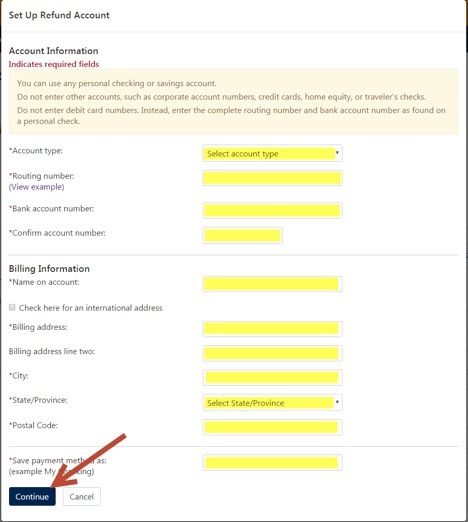 If you already have a saved account, the system will give you the option to add that account as your eRefund account. If you do not have a saved account, you will provide the information highlighted below. The save payment method as box can be anything you would like such as “My Account” or “My Refund Account”. Press continue once you have provided the requested information. Be sure to contact your bank if you have any questions about your routing number or your bank account number. You will receive a confirmation email from tnar to your UTM email account once you create your refund account. 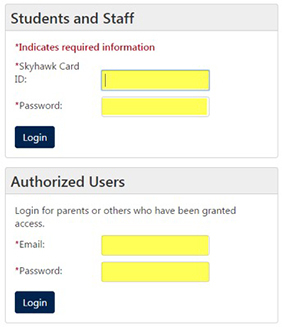 For help logging into the Portal and/or Banner, contact the Help Desk at (731) 881-7900 or e-mail helpdesk@utm.edu. For questions about your refund, contact the Bursar's Office at (731) 881-7810 or www.utm.edu/departments/bursar.